Welcome back to Japanesense guys! This time we’re going to one of the trendiest area in Tokyo, it’s one of the most renowned pop culture and fashion spot in the world, it is Harajuku! I’m sure you are all familiar with this area that always filled by lots of youngsters hanging around day and night. 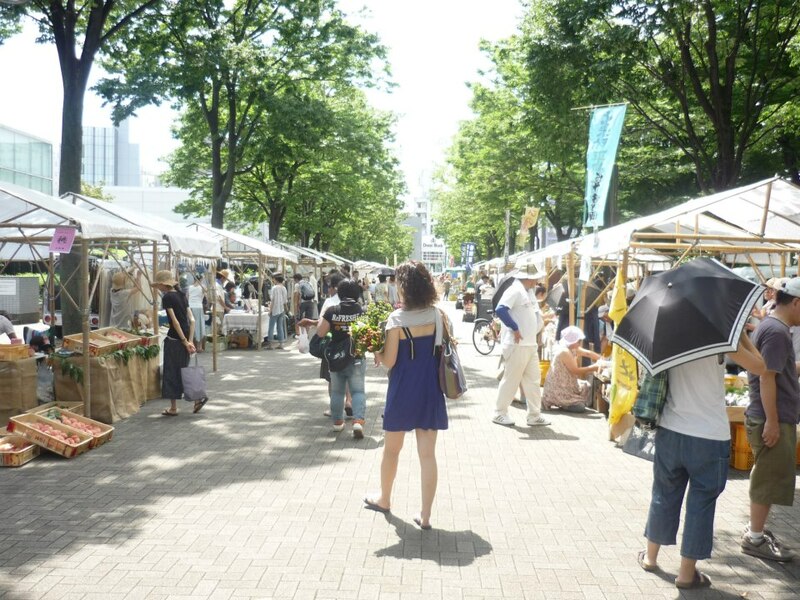 This famous area has its own distinction since this area offer the serenity of the traditional taste of Japan that you could find in the Meiji Shrine, the hilarity of the trendy Takeshita Street, to the luxury; high-class area of Aoyama, all of them located in one big area. It’s also said that Harajuku is leading in pop culture since lots of new trends have been created in this very area. 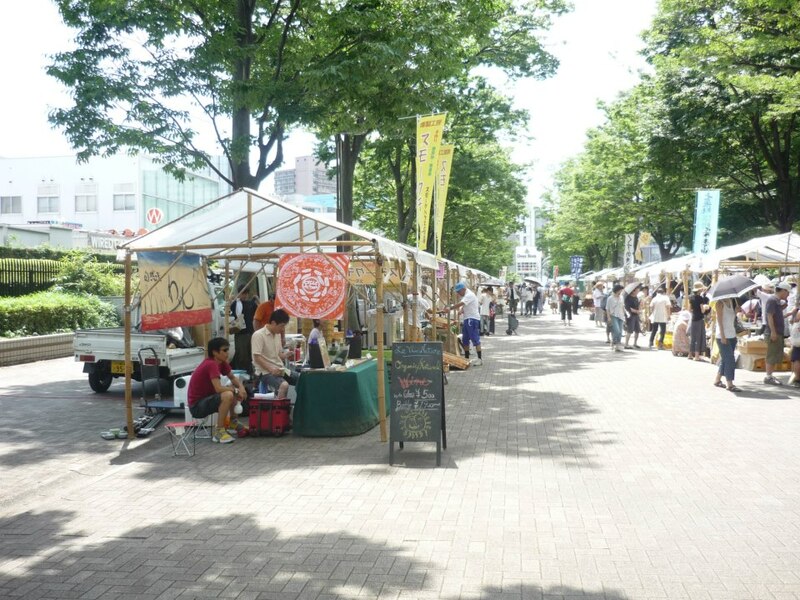 Now, let’s take a glimpse more about this ground-zero for the hang-outers in Tokyo!! First of all, let’s start exploring from the south of Harajuku. When I went to Harajuku, I went from the Shibuya station to Harajuku by foot. 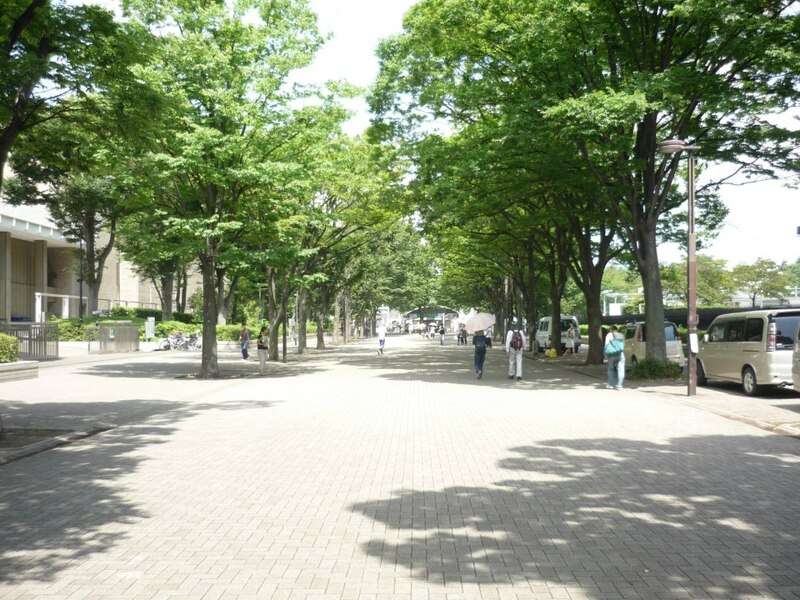 I went in the Sunday morning since I wanted to visit the Yoyogi Park, one of the most famous park in Tokyo. 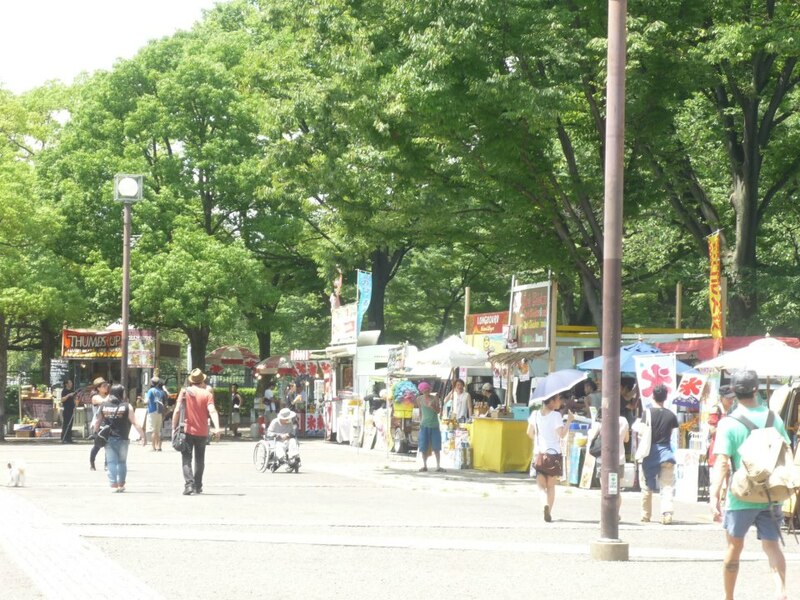 Yoyogi park is famous because this park is always used as a hangout, especially on Sunday. Every Sunday, lots of people always use this place as a gathering place to play music, practice dancing, practice martial arts, ride a bicycle, and lots of other things. 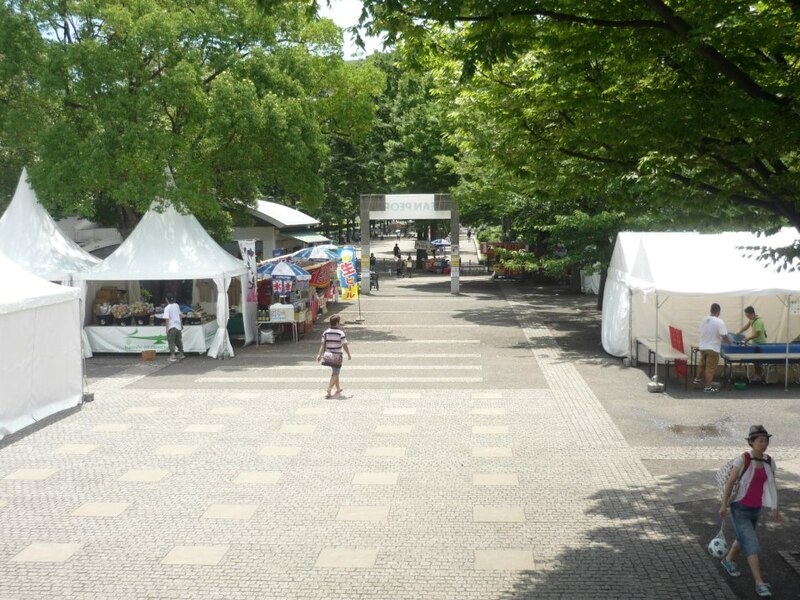 Fortunately, when I was there it was a sunny morning so I could see lots of Tokyo people doing their activities here. There were also lots of people who were selling vegetables and fruits in their stands. For those who love to ride a bicycle you could enjoy your ride in this park, there is also a bike path. For those who don’t have any, don’t worry since in this park there is a bike rental where you get one of your favourite bike. For those who like playing basketball, there is also a public basketball court here so you could enjoy the game with your friends, just don’t forget to bring the ball. On the picture above, that door is one of the entrance to the famous NHK channel studio. 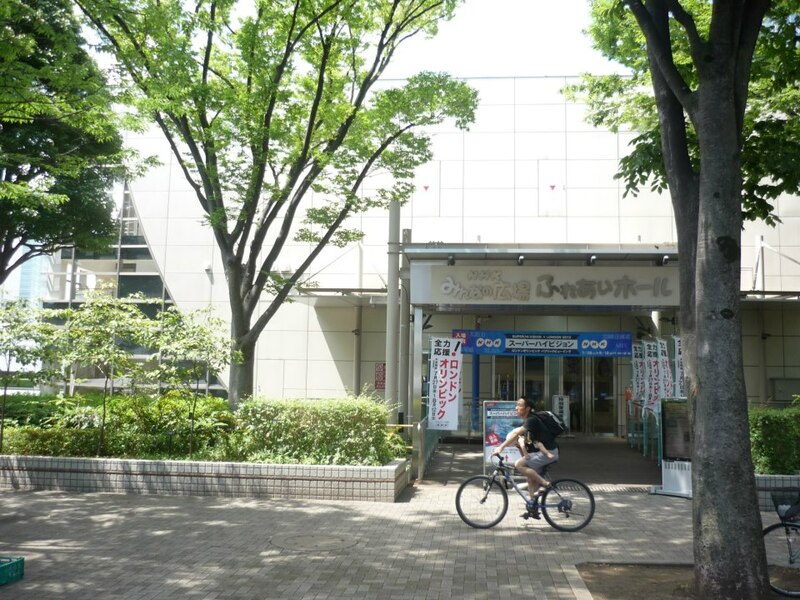 NHK is located right beside Yoyogi park, the building is huge. 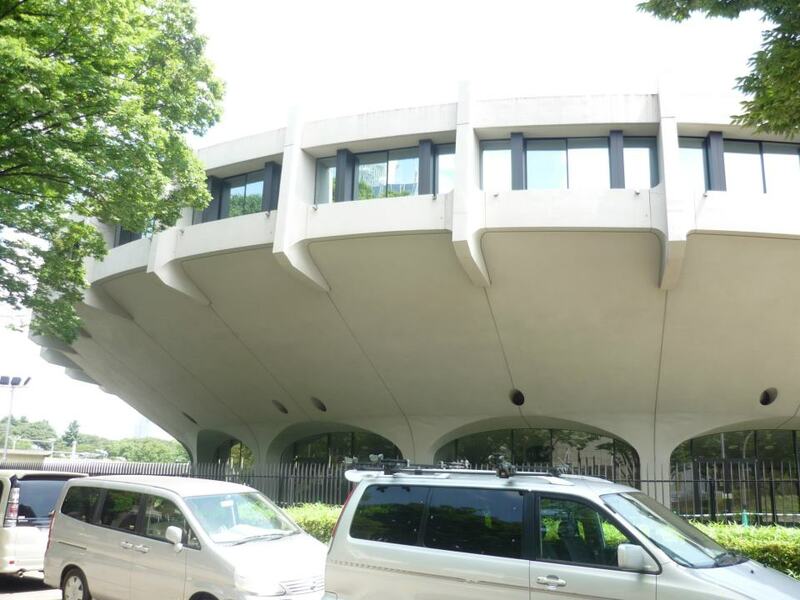 This unique building is the famous Yoyogi National Gymnasium. 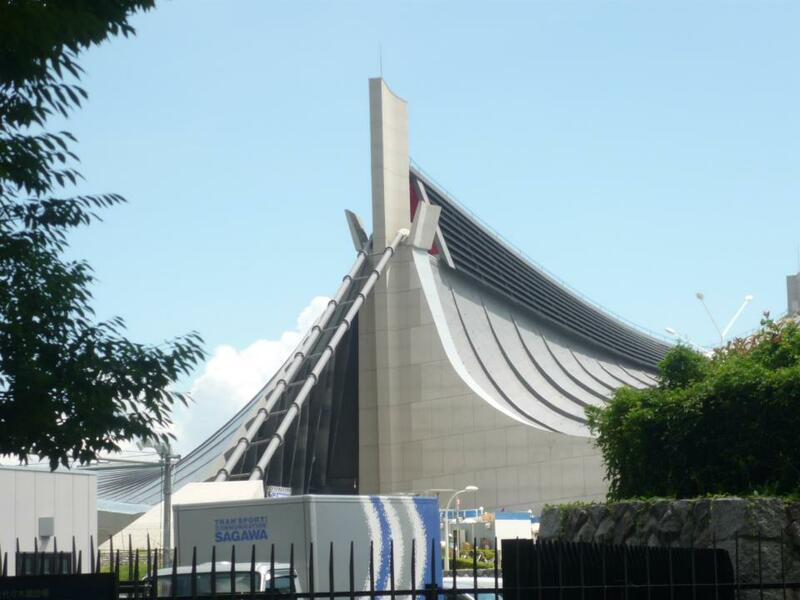 Designed by Kenzo Tange and built between 1961 and 1964 to house swimming and diving events in the 1964 Summer Olympics. This building is famous because of its distinct look of the suspension roof design. 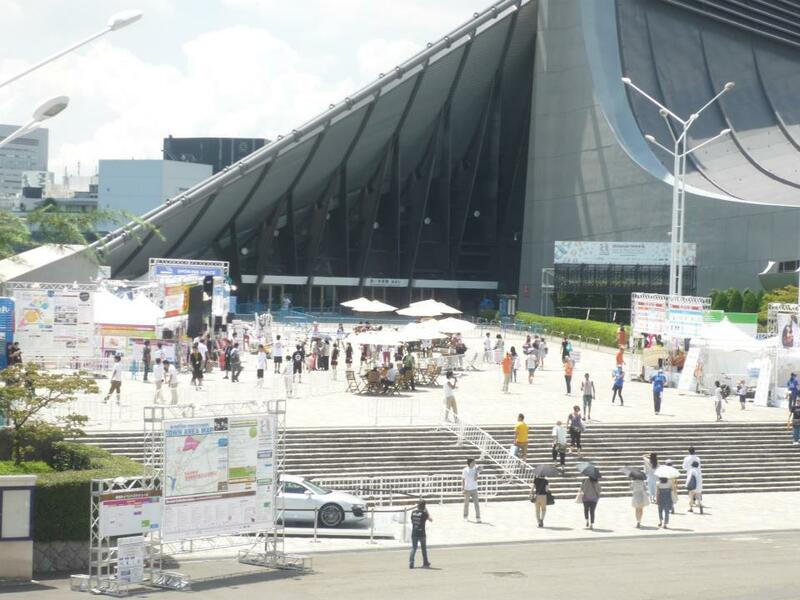 If you are a fan of the Japanese music, maybe you’ll have already known this place since it’s often used as the concert venue. In Sunday morning you’ll see lots of youngsters gather in this park just like on the pictures. 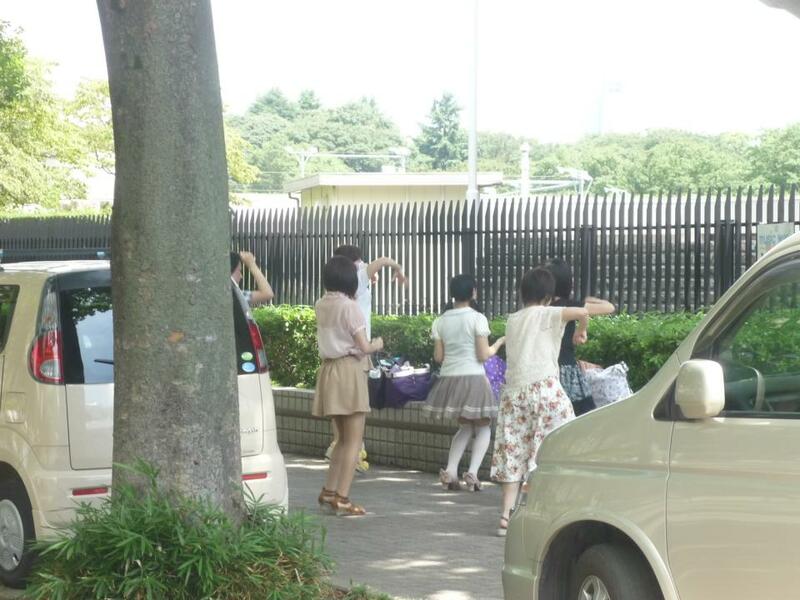 Those girls were doing a dancing practice and on the picture below the boys were doing dancing practice as well. 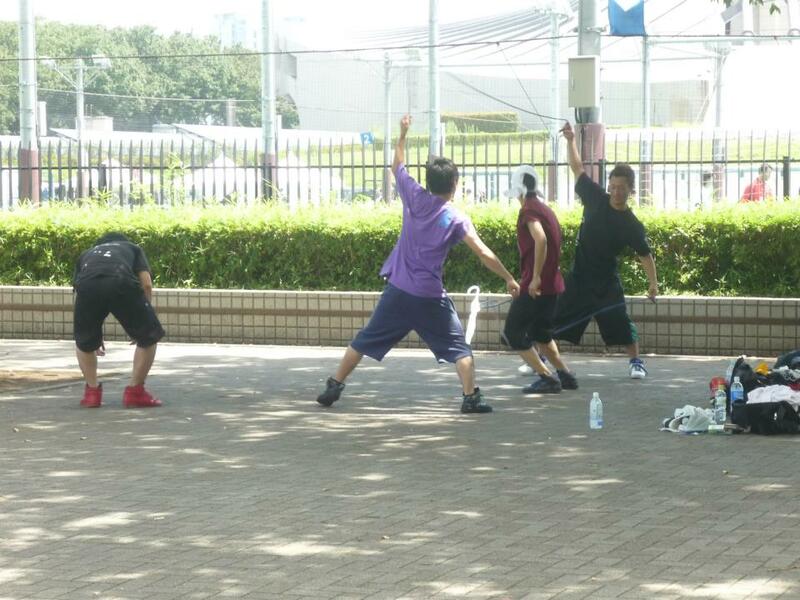 The unique thing was one of them were dancing while two of the boys swung a rope, so the dancer had to dance while avoiding the rope. Quite a performance boys! Behind the boys, there are some small football fields. Deeper inside there were still lots of stands, I guess it was a kind of summer event. 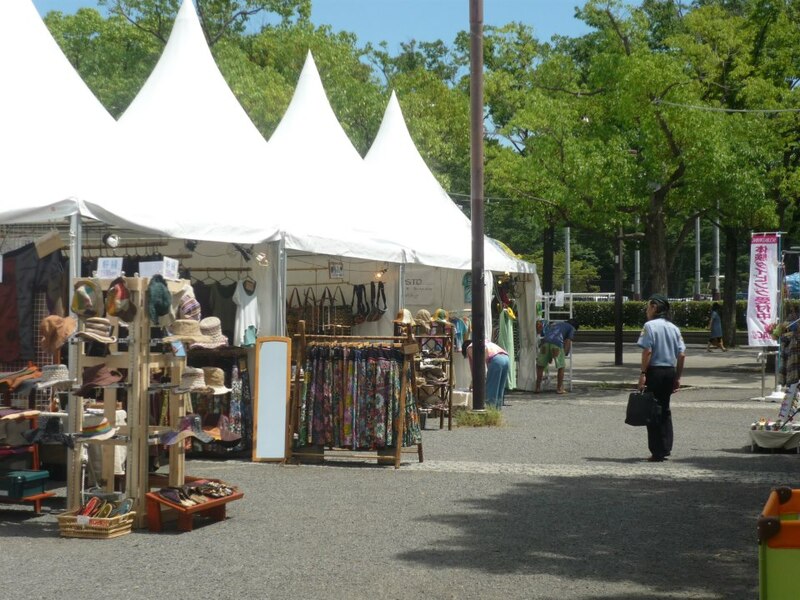 Those tent-designed stands sold lots of summer clothes and the accessories as well with quite a bargain price. Oh yeah, when I was there I also experienced one of the Tokyo people kindness. It was when I was asking a passer-by to take a picture of me and my girlfriend. After she took our picture, we talked a little bit with her then she continued to go her way. But after a while, she came back to us and said that there was a stand that gave free drinks and she asked us if we wanted to have some. Of course we wanted to, so she guided us to the stand to have the drinks, after that she continued to went around the park. It was one of my experiences of the Tokyo people’s kindness. Maybe not a lot of people in Tokyo are like her, but I believe that some of them are as kind as her. Even though Indonesian is famous because of their kindness, but I don’t think I’d ever find someone who would come back just to tell you about free drinks. Thanks mam!! Anyway, below are more pictures inside the event.. 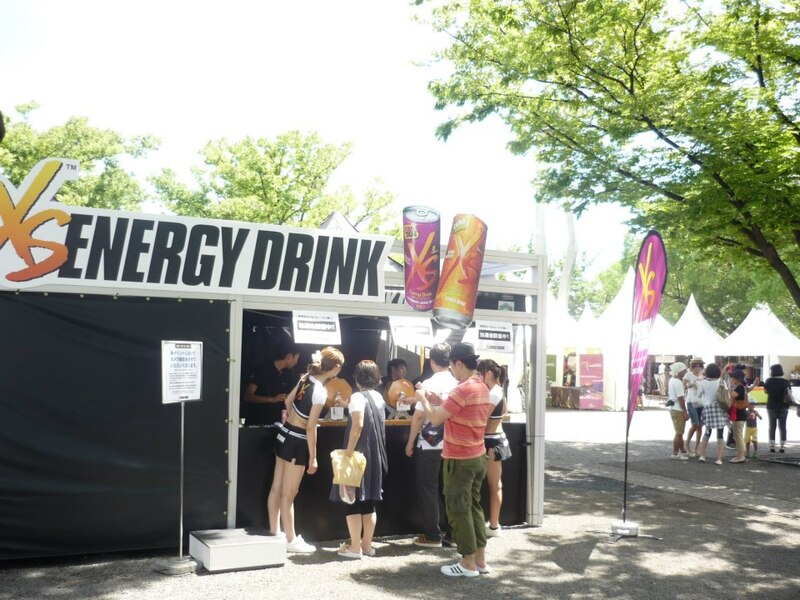 This was the stand where I got free drink. Actually, before I had the drink, I had to use the Japanese lottery machine first (the round orang things on the stand). We could get other things aside from drinks but it was decided by the colour of the ball that came out from the machine. At that time I just got free drink, if you were lucky you could get a surfing board as the main prize. But still, in the middle of hot summer day, what would be more precious than a cold drink? 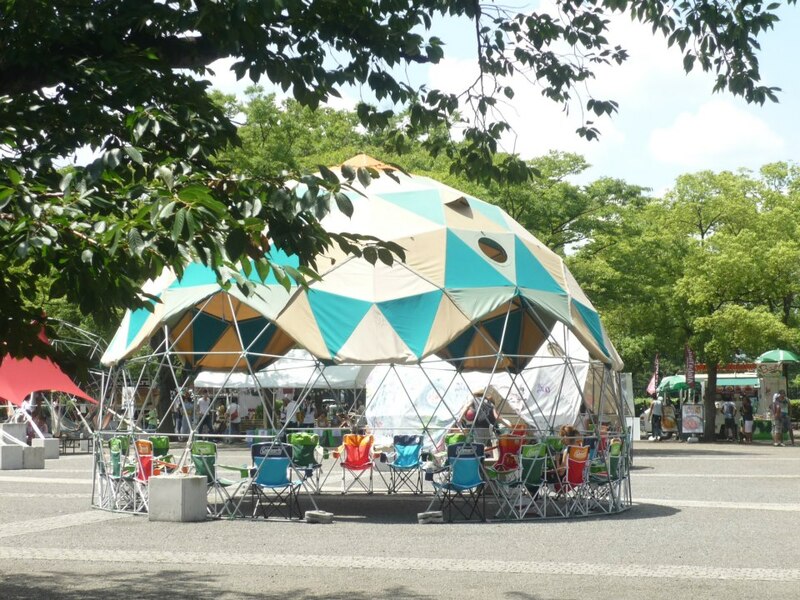 Deeper inside, there were plenty of round-shape tents like used by the people to take cover from the blazing summer sky. Some of the just took a rest and some had their meals inside. 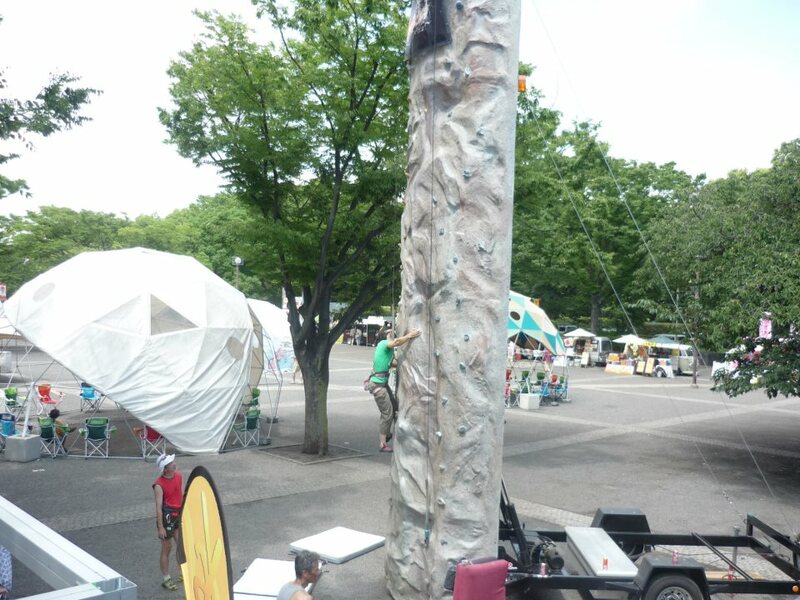 In this hot summer day, there were some guys doing wall climbing. 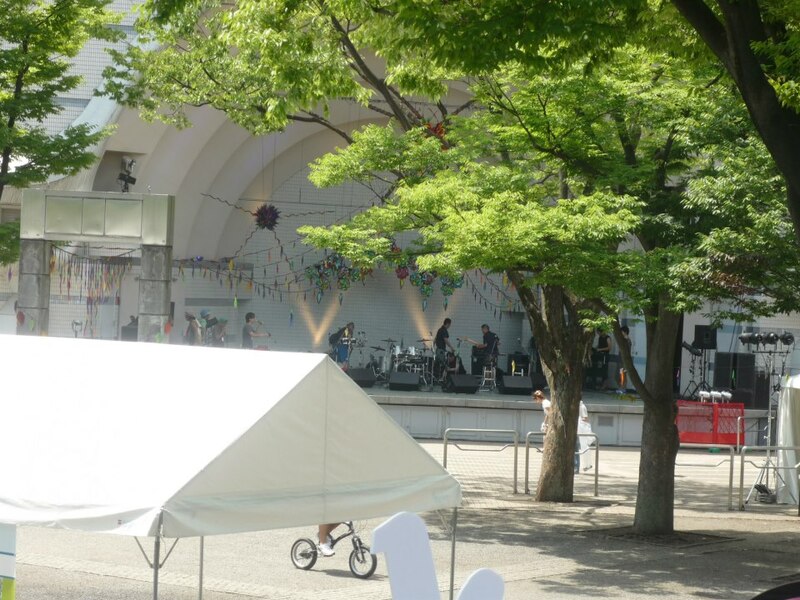 Inside Yoyogi park, there is also a concert venue as you can see on the picture below. There was a band who were rehearsing for their concert. 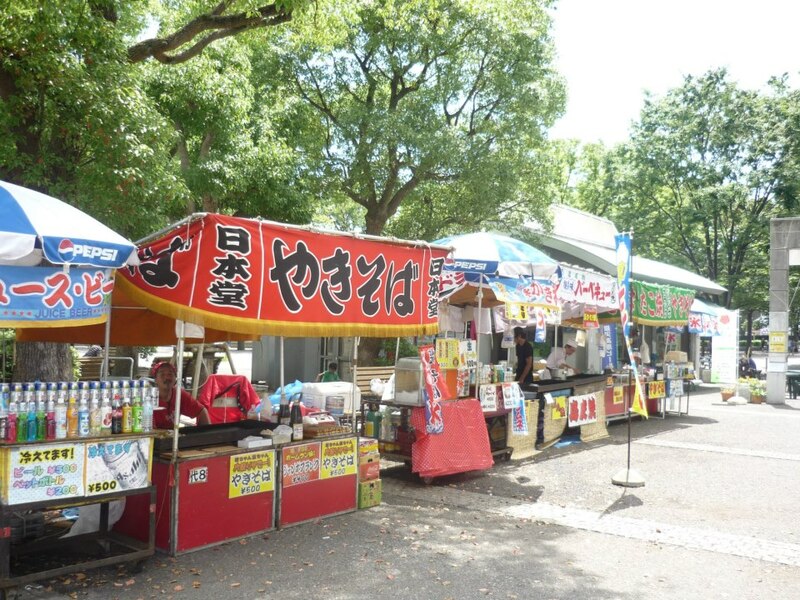 There were also stands selling typical summer meals and drinks, like yakisoba and kakigori. Since it was so hot I thought it was the best time to have kakigori, so me and my girlfriend bought some. I had the green kakigori and my girlfriend had the red one. When you are in Tokyo, Yoyogi park is one of the best spot to spend your Sunday morning. 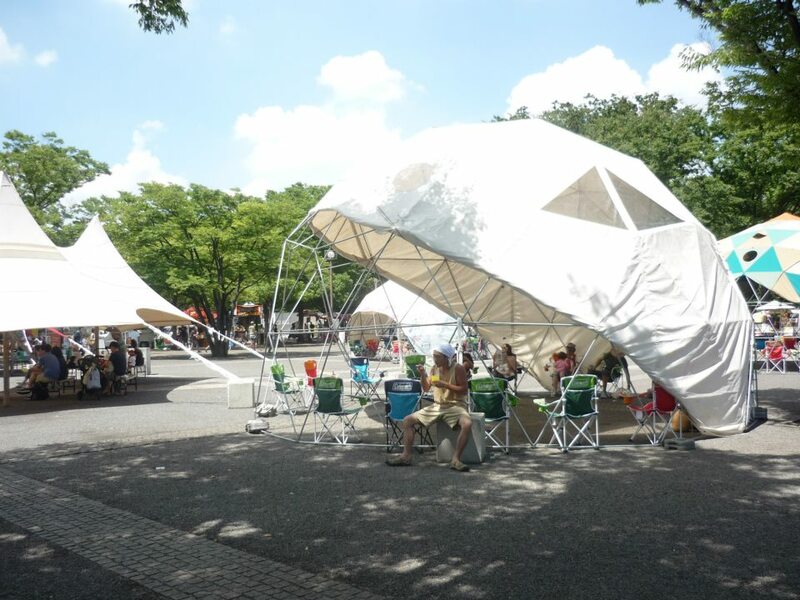 The relaxing atmosphere this park offers really could be used as an escape from the crowded life of Tokyo. Moreover, in this park you could also find lots of event that is always different in every week and the youngsters that always do some unique and interesting attractions. You can also do your activity here in this park, there are lots of choice for you from running, playing football, playing basketball, cycling, and you can also take your dog for a walk here. 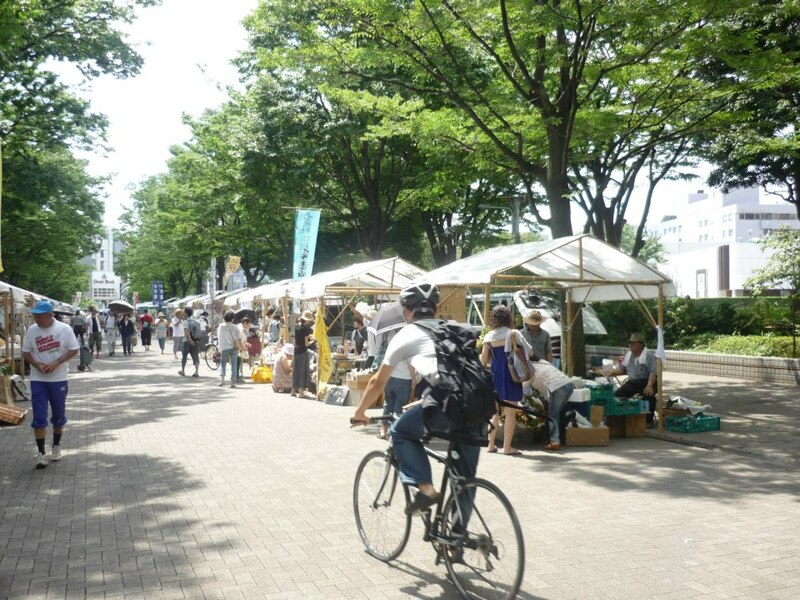 For me, there isn’t any other place that is more perfect to spend a sunny Sunday morning beside Yoyogi park. After I had my kakigori, I continued my trip in Harajuku to the north of Yoyogi park, Meiji Shrine..
What a cool place! Would love to visit – so far away.